Earlier this month, when we shared the lineup of food vendors at Riis Park Beach Bazaar, we noted that one of the newcomers this season would be Rockaway Clam Bar. Now we have some more information to share about the seafood purveyor that’ll take over for Wildfeast as that vendor focuses on its new Long Beach restaurant. 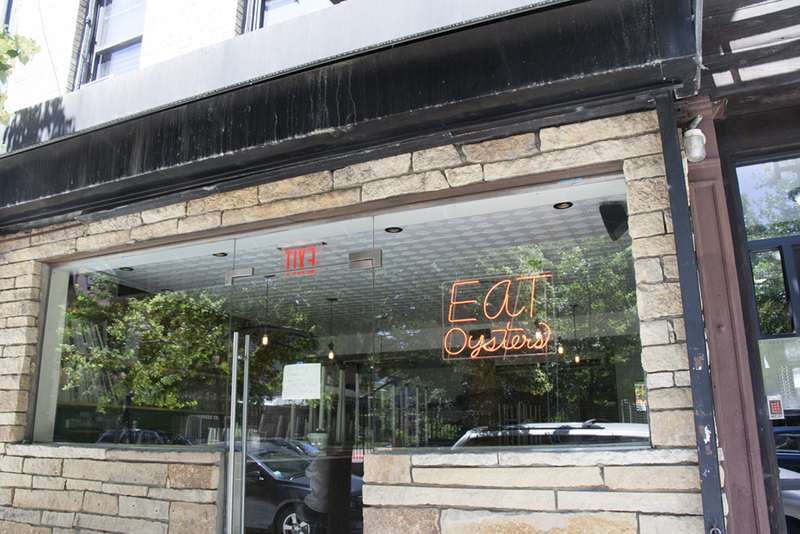 Turns out that the folks behind Rockaway Clam Bar, which soft-opened yesterday and will fully open this weekend, are Susan Povich and Ralph Gorham of Red Hook Lobster Pound. The couple, who split their time between Red Hook and Rockaway, are focusing on the sort of New England-style grub you might find at Bigelow’s Fried Clams, the throwback clam shack over in Rockville Center, Long Island. Think clam rolls, clam-strip sliders, clam chowder, and peel-and-eat shrimp. Something’s been cooking over at 2 Knickerbocker, the triangular lot that was once home to Amancay’s Diner, a late-night “spin the bottle” diner opened by a restauranteur known for his jello-wrestling glory days. The new tenant, Cape House, is a bit more serious minded, and aims to fill a big ol’ hole in the city’s food scene. A replacement for the flash-in-the-pan Latin fusion cantina Lorenzo’s has arrived at the Jefferson stop in Bushwick. Daniel Cipriani, the proprietor of Sea Wolf, who also owns a pair of dining establishments in Williamsburg– Lodge and Urban Rustic– as well as the Playland Grill in Rockaway, told us that the surf-n’-turf corner spot has been krilling it, so to speak, since it officially opened a few weeks ago. Even at 3 p.m. on a Friday afternoon, Greenpoint Fish & Lobster Co. is packed like a sardine can (the salmon spot was slammed mid-week, too). So it’s no surprise that fifth-generation fishmonger Vinny Milburn and former Pianos booker Adam Geringer-Dunn, co-owners of Greenpoint’s newest fish market and lobster joint, are starting to crack up. After the first ten days, when many restaurants are already floundering, this corner spot is making waves. We fought off the steady stream of customers to see how things are going.